Eric is a native to the Nevis-Park Rapids area. He graduated from Nevis High School and attended Itasca Community College and Bemidji State University. Eric worked in a family owned tackle shop in his youth, did carpentry and home construction, then headed to Colorado just after graduation to work for an oil well service company. In 1996, Eric joined the real estate profession and worked for Coldwell Banker Clack and Dennis Real Estate for 14 years. In 2007, Eric and T.J. Simon formed The Eric Wolff team. In 2008 they were ranked 2nd in sales for teams in the state of MN. In 2010, Eric partnered with T.J. Simon and opened Wolff & Simon Real Estate. Eric’s interests are as varied as his background. His talent for writing poetry, which has been published in many northern journals, his ability to paint /draw wildlife, and carve wood fish and decoys has earned him a name as an area outdoor artist of renown. He officiates varsity basketball games and is an avid fisherman. Eric’s knowledge of area lakes has provided his clients and customers an added bonus; not only is he aware of each lake’s quality, he also knows where the “good fishing spots” are located. When you put Eric Wolff to work as your Park Rapids area real estate guide, you will be sure to enjoy his enthusiasm for northern Minnesota outdoorsman lifestyle! The fall of 2010 was a very exciting time for Eric when he married Tara (Troge) Wolff. They have made their home in Nevis in a log house that Eric and his Dad built. Eric is blessed with a “can do” attitude and a keen sense of humor, and as you’ve probably already guessed, he really enjoys working with people. Eric has a true “team spirit”. Give Eric your real estate “want list” today. He loves his work, is always available, and is ready to go to work for you! T.J. Simon grew up and attended elementary and high school in Eagan, MN. After graduating from high school, he went to Bemidji State University where he majored in Marketing with a minor in MIS. Upon completion of college and graduation in 2002, T.J. managed his 2nd generation family construction business. His interest in Real Estate went hand in hand with construction, and in 2004 T.J. started his real estate career with Coldwell Banker Clack and Dennis Real Estate. In 2005 he completed the necessary education to test and receive his Real Estate Broker’s license. In 2008, Coldwell Banker Real Estate Corporation recognized T J and his business partner as being the “Number 2 sales team in the State of Minnesota”. This is a major accomplishment since they operate in a small town with a population of less than 5,000 people. T.J. is a past member of the Park Rapids Area Chamber of Commerce’s “Ambassadors” and was a volunteer hockey coach for 6 years. His dedication to the latest in real estate marketing with respect to computer technology has helped to keep his real estate team on the cutting edge of the industry. T.J. is married and resides in Two Inlets with his wife Esther, and their sons Darien and Hunter. He enjoys spending time with his family in the outdoors and likes to go camping, fishing, and bow hunting. Patti grew up and attended elementary and high school on the Iron Range in Aurora, Hoyt Lakes. She then moved to the Twin Cities and worked for Deluxe Corporation where she obtained excellent customer service skills and a strong work ethic. 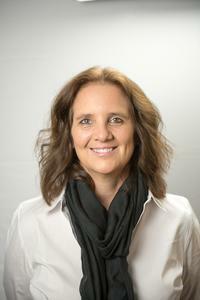 Patti brings 17 years of experience serving the Real Estate needs of Park Rapids and surrounding communities. She served as a Board Member/Board Chair for Heartland Homes of Park Rapids for 7 years and served a five year term as a Board Member of the the Greater Lakes Association of Realtors. Patti has been a leader in the Real Estate industry over the years, recognized nationally for production in listing and closed sales. Patti brings enthusiasm, professionalism, honesty, hard work and dedication to her field and to Wolff & Simon Real Estate. Her hobbies include walking, biking, reading and knitting. Give Patti a call to assist you with all of your real estate needs. Joe grew up in Burnsville, MN where he attended elementary and high school. After graduating high school he continued his education at Moorhead Technical College and earned an AAS Degree in Carpentry. 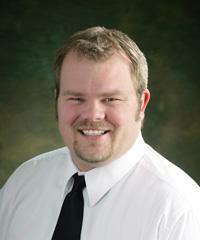 After completing his degree, he established Erickson Construction in the Twin Cities area. 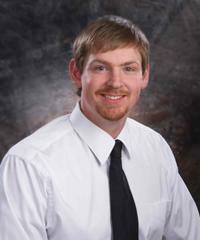 Joe has over eight years of experience focusing on home renovation. All throughout Joe’s childhood he would head “Up North” to the Park Rapids area to hunt, fish, and camp. Through the years he fell in love with the land and all it had to offer. In 2013 he and his wife, Elise, decided to make the move to the northland to be surrounded by the great outdoors. They currently live north of Park Rapids with their dog Kodi. They have enjoyed meeting new people and getting acquainted with the community. Joe’s strong work ethic and knowledge of home construction will make him a great asset in finding your new home, cabin, or land. 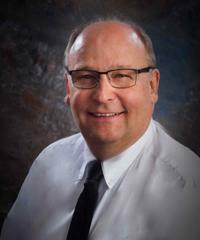 Steve grew up in the Nevis/Park Rapids area on 6th Crow Wing Lake and graduated from Nevis High School. Shortly after high school, he worked in construction and sales which ultimately lead him to Real Estate. 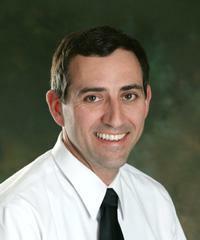 Steve completed his education through Kaplan Professional Schools and received his Real Estate License in 2013. His background includes renovating rental properties and working as a Leasing Agent at Garnet Real Estate where he covered the Twin Cities metro area. Now, he looks forward to being up north living the “cabin life” and working in the community he grew up in. When he is not hard at work, Steve loves to be outdoors, hunting and fishing. With his knowledge of the surrounding area, Steve would love to put his skills to work for you. 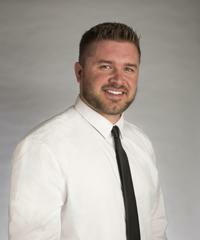 Through hard work, he is looking forward to helping you and your family achieve your Real Estate needs! Steve was born and raised in International Falls, Minnesota. A few years after graduation, he met and married his wife, Bev, and they relocated to Alexandria, MN. There he attended the Finance and Credit Management program at Alexandria Technical College. Upon graduating they made their home in Fergus Falls where he was a mortgage lender for 18 years. In 1995 they moved their family to Park Rapids where Steve took the Vice President of Mortgage Lending position at Northwoods Bank. He remained at the position for nearly 20 years. He recently retired from banking and desires to complete his working career by assisting clients to buy and sell real estate. Steve’s knowledge of the mortgage market, being aware of market conditions, and desire to assist clients make this change a good fit. Steve and Bev have been married for nearly 40 years and have been blessed with 3 children and 12 grandchildren. Seth (Lizzy) has 5 children; Joel (Hannah) has 4 children; and Maria (Kyle Shepherd) has 3 children. All of their children live in the area and are locally employed so he has the privilege of spending time with them on a regular basis. In addition to spending time with his family, Steve also enjoys fishing, gardening, and reading. He is also into raising chickens for eggs and has all of the equipment to raise bees and extract honey again in the future. Let Steve put his knowledge and experience of the housing market, market conditions, and mortgage lending to work for you. In 2003, Brian and Sara moved to Nevis, MN to raise their children and open their own grocery store. They were the owner/operators of Northwind Grocery in Nevis for 14 Years, and while doing so, were involved in the acquisition and management of several real estate properties including residential, commercial and multi-family properties. They have always enjoyed working and helping customers and clients and felt that the real estate industry would be a natural fit for them. Throughout Brian and Sara’s 25+ years of Business experience in both the Financial and Customer Service sectors, they have honed their skills to be a customer driven team. They are hard-working, honest, and devoted to making each, and every transaction a positive experience. They understand the needs of the first-time home buyer, the seasoned veteran, business owner, as well as the real estate investor. Sara was born in Watertown, MN. Her family then moved to Plymouth, MN where Sara attended and graduated from Wayzata High School. After high school, Sara moved to Florida and attended and graduated from The Art Institute of Ft. Lauderdale in Fashion Design. Upon graduation Sara worked in the fashion design industry, and was lead designer for a company that retailed their product at companies such as Macy’s and Saks Fifth Avenue. Sara left the design industry to raise the first of her three children. While raising her children, Sara decided to enter back into the work industry, and became a manager with Albertson’s Grocery Stores in the capacity as both a Customer Service and Lobby Manager. When not working, Sara enjoys spending time with the family, traveling, hiking, yoga, and reading. In 2003, Brian and Sara moved to Nevis, MN to raise their children and open their own grocery store. They were the owner/operators of Northwind Grocery in Nevis for 14 Years, and while doing so, were involved in the acquisition and management of several real estate properties including residential, commercial and multi-family properties. They have always enjoyed working and helping customers and clients and felt that the real estate industry would be a natural fit for them. Brian was born and raised in Miami, Florida, having attended both High School and College there. While in High School, he had the opportunity to manage a restaurant and enjoyed the fast-paced nature of the business, the financial responsibility, and the enjoyment of personal interaction. 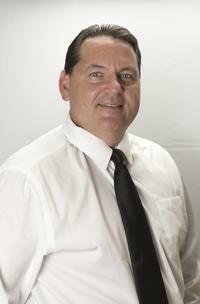 Pursuing a career in business, Brian joined Albertsons Grocery Stores in 1989. After holding several managerial positions he became a Store Manager with Albertsons in 1993. In charge of 150 employees, Brian was responsible for all aspects of the business from employee relations, to the financial viability of each of the 5 stores that he was responsible for. Brian left Albertsons in 2003 to move to Minnesota. When not working, Brian enjoys spending time with the family, fishing, traveling, hiking, bowling, and all outdoor activities.